If my stories can entertain and delight someone as well as they do myself, I will be pleased. Thank you for reading. A collection of Oneshots for various challenges. 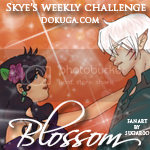 Updated for Nobodys \"Karma\" Challenge. What say you to a little Bad Karma? Experience the terrors, trials and troubles of Rancor High’s unwary and unsuspecting inmates. 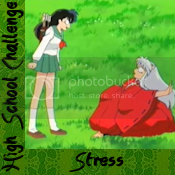 Response to SunsetMiko’s High School Challenge. Thanks so much for the review for Sesshoumaru. Jane definitely had fun poking gentle fun of those who think too highly of themselves. As tough as it is trying to fit Sesshoumaru into Emma's role, I thought it would make for a more interesting twist. I hope my story continues to be of interest. Hi there! Thank you for the kind comment on my fanart for Blood Stained. Why thank you dear! I love what you've done to yours! The Font's AWESOME! Feedback from Tataru: Thanks! It's called 'Charmed' and if i'm not mistaken it should be from the TV show. I found it free on the web. LOL!!! Thanks for your kind review of The Naked and the Dead! I think Sesshy has a very long memory, so yeah... in hiding for a looooong time! YAY! Just added you! thanks! That's kinda the reason why I didn't get along with Photoshop...lol. I never got the how to use the layers and stuff. You do a wonderful job though--they almost look like they were from the real anime. Do you mind if I add you as a friend?